We're living at a dynamic time. Technology is advancing at increasingly compressed rates, radically changing how we interact with our neighbors and across our borders. Innovative start-ups have been able to capitalize on these opportunities and tap our imagination about the potential of our future. 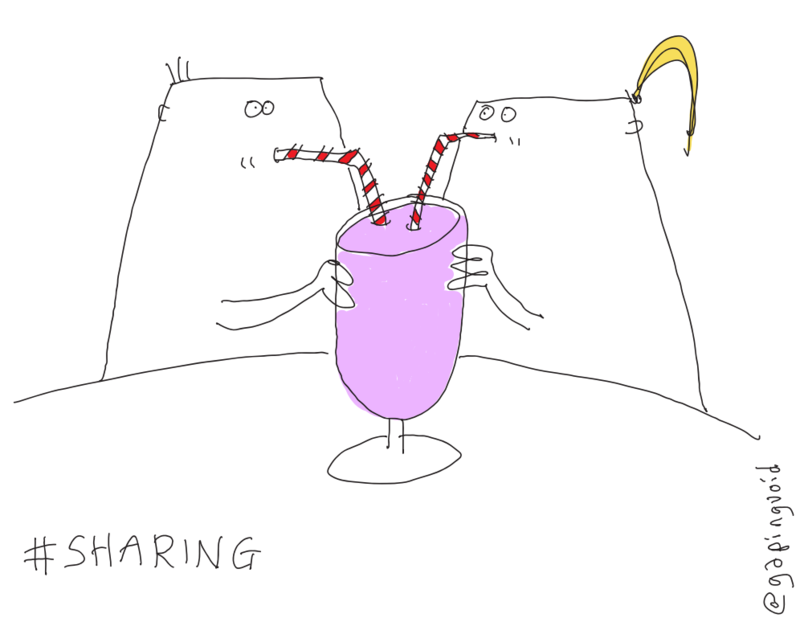 This movement around "sharing things" has been called many things, including the Gig Economy, the P2P Economy, Collaborative Consumption and the Just-in-Time Economy. While billion dollar valuations and rapid growth have captured our attention, there are still many questions as to how we define the sharing economy as well as how it bodes for our future. In 2015, the sharing economy permeated all facets of life, with emergence of on-demand delivery services like Postmates, growth of freelancer databases like TaskRabbit, the global proliferation of ridesharing services Uber and Lyft, and even the option to share a local's kitchen table through EatWith. Many see this as just the beginning. Make no mistake - 2016 will be the year the sharing economy moves from early adopters into the mainstream (supported by GM's $1 billion bet). But before this happens, there are some issues surrounding the sharing economy that need to be addressed. Here are a few of the common myths of the sharing economy as well as questions that still remain to be answered. AirBnb and Uber are unicorns, among the fasting growing businesses in history. Their tremendous success comes from iterating on well-defined business models with sleek new interfaces. However, if we are seeking role models that reflect the essence of the sharing economy, they fall short. There's more behind the transformative nature of new businesses in the sharing economy than good UX and increased broadband penetration. The foundation of the sharing economy heralds from age-old concepts based around barter. It also arises from a shift in how we relate to, and interact with, our "stuff", which is a critical underpinning to these new business models. Can you imagine your grandparents agreeing to be picked up at a foreign airport in an unmarked car with an untrained driver, en route to stay at a stranger's home? A shift in how we relate with others and our possessions has opened the door to new ways of doing business. These shifts in our very psychology are critical elements to the huge success of the sharing economy. At its core, the sharing economy is certainly not something new. It's been around at least as long as developing friendships over milkshakes. As long as technology has allowed us to put to work underutilized personal resources to limit waste. In its most common usage, the phrase "the sharing economy" has come to encompass business models that don't foster any sense of true "sharing" per se, but instead includes peer-to-peer marketplaces that connect buyers and sellers. While businesses that promote monetization of personal assets may not promote the purist form of "true sharing", it's not such a stretch to include them in the broader movement. 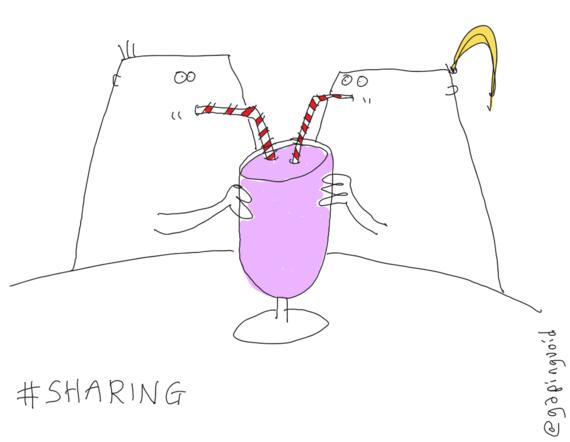 When individuals connect and put personal assets to use that are sitting idle, they are sharing much the same way you'd share a milkshake (and possibly split the bill). The Dow is trading at a PE ratio of around 16. 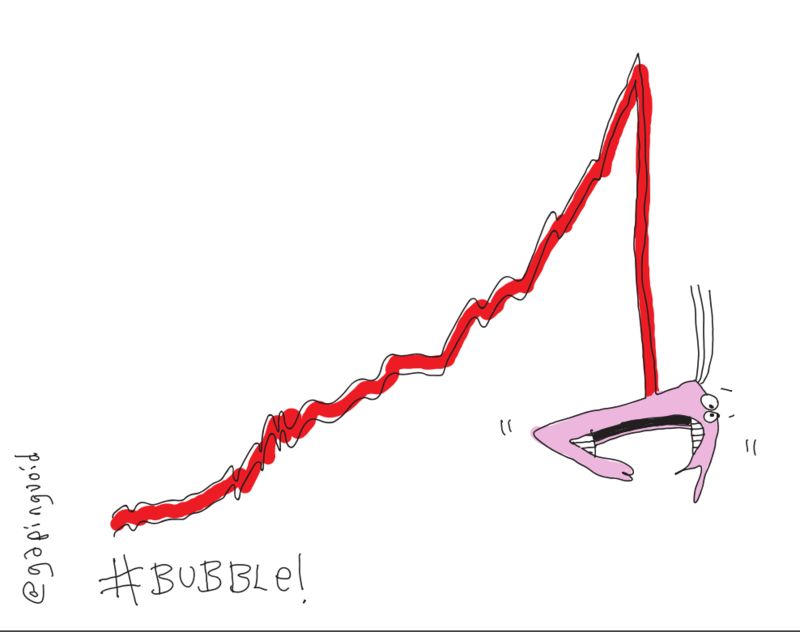 NASDAQ is close to 23. Both indexes are very close to their historic average. 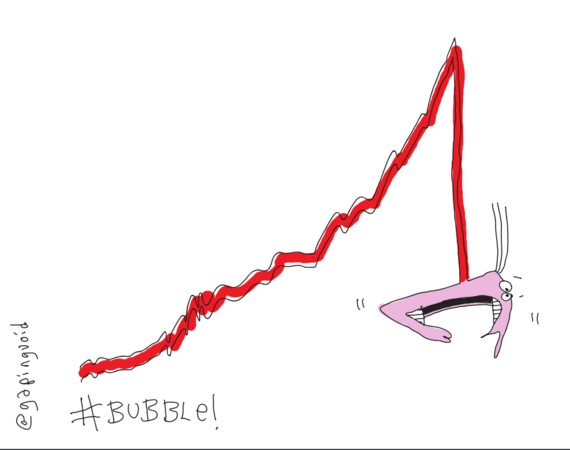 The last tech bubble reached 150. Whether or not Uber or AirBnB should be considered part of the sharing economy, their collective valuation is approaching $100 billion and their contribution to a change in business as usual is undeniable. They have created value. These and similar sharing economy participants are creating millions of flexible jobs that are allowing entrepreneurs, stay-at-home parents, students and those un- or underemployed to find work. The associated benefits workers receive (and those they surrender) in the new economy are a valid issue for discussion. However, these issues started well before the sharing economy and arise during any economic revolution; change yields displacement that must be addressed, both through market forces and through smart regulation. Currently we see contractors trading fixed vacations and job security for flexibility. Ultimately, as demand for workers continues to increase, service providers will have increasingly leverage to shape their own futures. A new form of benefits is already beginning to take shape. Whether there's a net increase in employment and long term benefits from the sharing economy remains to be seen. Have you ever been out to dinner with a group, intending to split the bill and a member of the group orders the most expensive item on the menu? 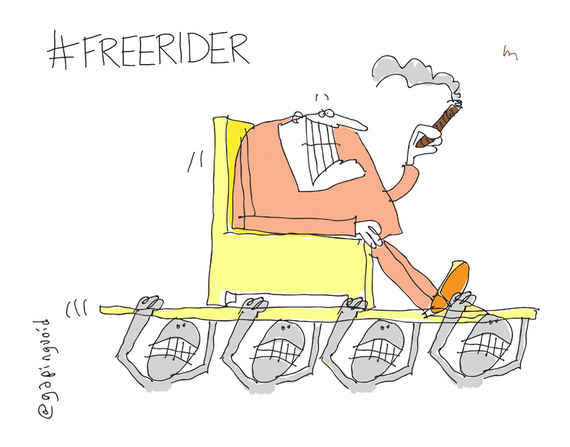 That's a classic "free rider", aka a "taker". One concern is that this will be a growing problem as everyone starts to "share" more. I've seen something remarkably different through over 20 home exchanges. Not being motivated solely by financial gain, the level of generosity among participants in true sharing economy companies is unparalleled. When consumers return cars to rental agencies, they aren't expected to disclose damaged to their preferred rental agencies. But if I lend a person my car, I am finding that it's often returned in better condition than, especially when there's an element of reciprocity other than cash. So why the different behavior? First, experiences are taken place of cash. Second, the direct interaction between peers (reciprocity) plays a major role, especially if there's a transparent feedback loop. Finally, it does not feel right to take advantage of a personal relationship, a "face". Over 24 years and one million exchanges, at HomeExchange.com we've seen that reducing the involvement of a faceless intermediary, or simply using their technology to facilitate more personal relationships, results in better behavior. 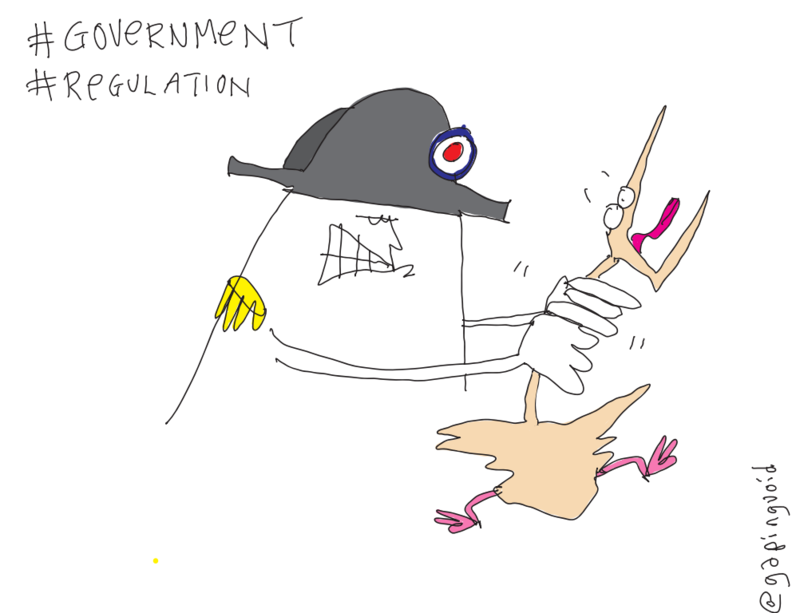 Admittedly, much of the unprecedented growth of the sharing economy can be attributed to limited regulatory barriers. However, there is a growing role of social policing. Social norms have proven that they can support or replace regulation where parties repeatedly interact, especially with transparency. While the "wisdom of the crowds" doesn't always work, in many situations it's more effective than having the government tell us how to share. It would be negligent to say that the sharing economy doesn't require any regulation. However, the nature and extent of regulation we need for new markets depends on the context. Regulations in the peer-to-peer rental market may be more necessary in cities where there are strong cultures and history like Venice or Istanbul than we need in Venice Beach, California or where health and safety issues are at stake, such as with driving. The sharing economy has been thrown into the limelight by the rapid growth of its providers. Many look to the sharing economy to provide a utopian alternative to capitalism. But, the sharing economy is hardly a radical departure from capitalism, in which effective asset utilization as a fundamental tenet. However, the sharing economy signals a departure from consumption, historically a catalyst to GDP growth. How can both be possible? About 100 years ago, the Austrian economist Joseph Schumpeter coined the term "Creative Destruction." 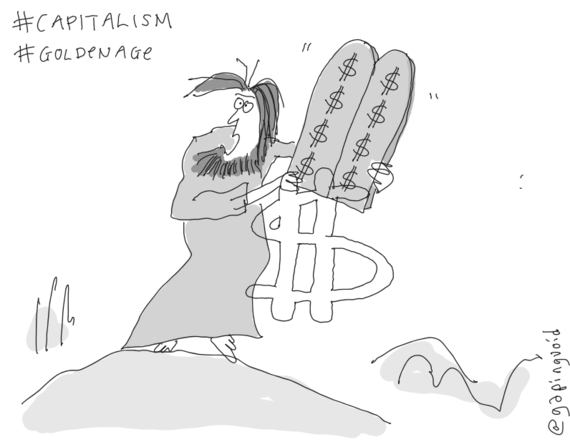 At its core, the principle was that to create new value, we need to destroy value. After the introduction of Uber, San Francisco witnessed a nearly 65% decline in cab use. But, new value is being created. So where's the new value if not in the growth of our markets? My grandfather used to lock his tools in the garage 99% of the year, during which they sat idle. He had a system where friends and family could check out a tool by signing a library card. When he passed, the Salvation Army was pleased to receive a rust-free set of tools. An increasing number of people perceive homes, cars, tools etc. that sit idle as wasteful. They would prefer to put them to use, even if financial reimbursement isn't part of the equation. Perpetual growth of consumption is likely unsustainable, especially when considering the fact that externalities are rarely accounted for. The potential of the sharing economy to provide for rapid and substantial decrease in consumption is real. There's an unprecedented opportunity to use our limited resources more efficiently. 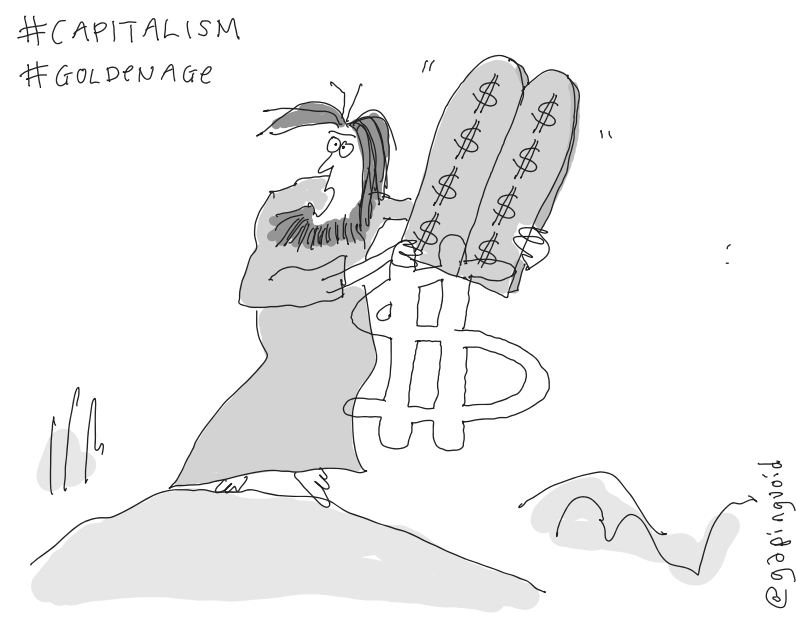 Exactly how this shift fits within the traditional concept of capitalism is the subject of much debate. However this plays out, it's almost a certainty that capitalistic motivations will continue to define how this movement evolves. Jim Pickell is President of HomeExchange.com, an advisor, angel investor, and frequent guest lecturer. Previously, Pickell founded several companies including OpenEnglish.com, Latin America's leading online language school, and served as Senior Vice President of SONY Connect in L.A., where he led the digital distribution of films, music, and eBooks. His later quest to collaborate with like-minded thinkers and create ideas that influence positive change led him to HomeExchange.com, first as a member and now as a core part of what he calls "a 23-year-old startup." Pickell is an adjunct professor of entrepreneurship at the Argyros School of Business and Economics. He holds a degree in economics from UC Berkeley, a law degree from Loyola Law School, and an MBA from the Anderson School at UCLA.